Needed a Birthday Card for my lovely daughter! 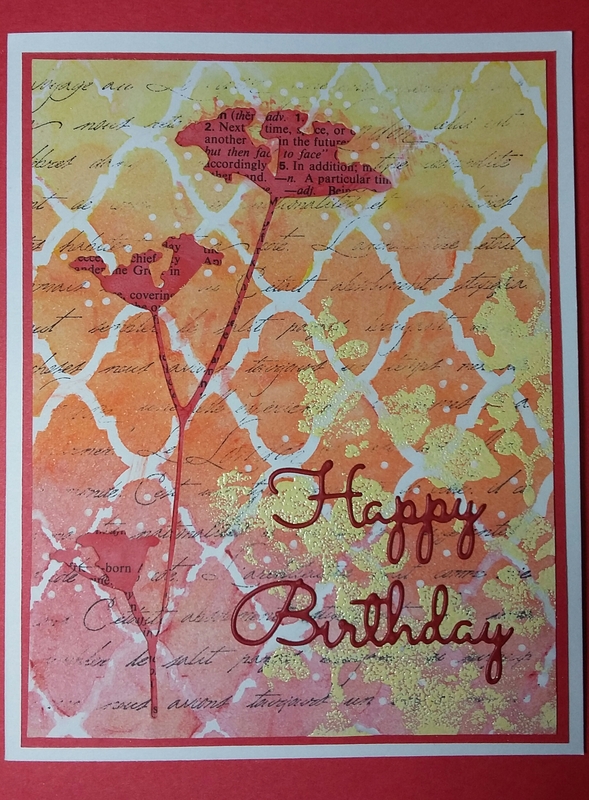 I created a background on heavy cardstock using stencils, Gelatos, embossing powder, die cuts and a script stamp. Once my background was finished and dry (I let it dry overnight between two pieces of parchment paper), I die cut the flower out of the background. Then I colored a piece of paper to coordinate (I use pages torn from an old dictionary) and glued it to the back, allowing it to peek through the opening created by the die. Finally, I layered with a dark red cardstock onto white cardstock to finish. Done!